Have already read, had my devotion time, gotten some work done and am looking forward to Zumba, a shirt cutting class and lunch with a friend. 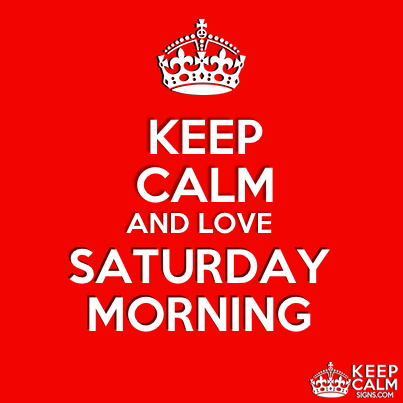 Love Saturday mornings! Hope you have a blessed one, too!